It’s interesting writing this article sometimes. Generation three is, by necessity, an important set of games to Ability of the Week, being the games that introduced the titular mechanic. Of course, many of us who are readers of this site and listeners of this podcast never played generation three. 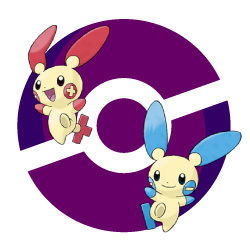 As such, it wouldn’t surprise me to find out that most of you have never heard of this week’s passive powers, because up until now, you could only find them on generation three’s Not-Pikachus, Plusle and Minun. (Look at me, I’m coining a phrase for the generation Pikachu knock-offs!) This is Ability of the Week: Plus AND Minus!